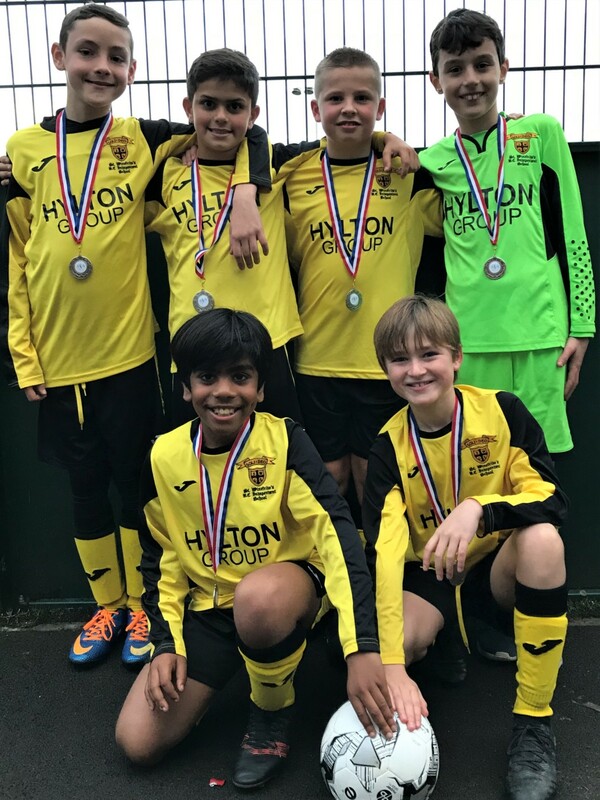 This week our U9 and U11 Boys football teams travelled to Kidderminster to take part in the ISA Midlands Region 5-a-side football tournament. This an annual tournament with schools competing from all over the Midlands Region. Our U9 team played fantastically well, winning all four of their games (thanks to plenty of goals from Atticus Round) in the group stages, scoring 17 goals and conceding just 2. This meant that we progressed top of the groups to the Cup Competition. The team were unlucky with the run of results in this stage and finished just outside the medal placings. Our U11s were in superb form, winning all six of their games, conceding only 3 and scoring a magnificent 29 goals! This meant we progressed through to the finals as the top placed team, with the best goal difference of the whole competition. We convincingly won both our quarter and semi-final games 4-1 and 2-0, however, luck was not on our side in the final, as we lost 2-1 to a last minute goal, against the run of play. This was a dominant display of football, earning us many compliments from other schools. Ethan Savage was heroic as captain, and produced a stunner of a goal in the final. Outstanding efforts, boys, well done! As the Midlands tournament finalists, St. Winefrides are through to the National Finals, to be held next year at St. George’s Park, the FA’s National Football Centre and home to the England teams.